Having spent much of his life exploring the mountain and desert regions of Utah, Todd Hayes has gained an acute awareness of nature and draws inspiration from his environment to inform his work. He received a BFA from Utah State University in Logan, Utah, and his MFA, from Wichita State University in Wichita, Kansas. 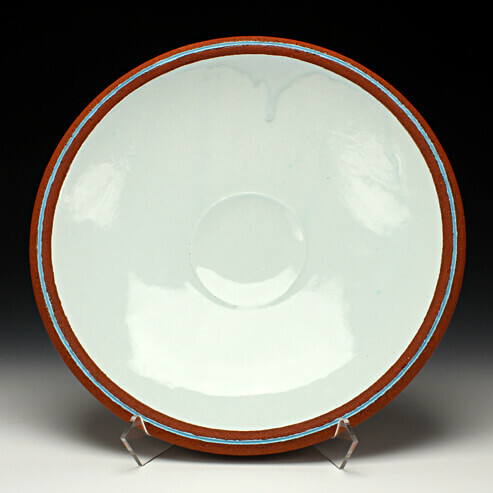 Hayes currently lives and works in Logan, Utah where he is a studio potter who focuses primarily on tableware and holds the position as Ceramics Studio Coordinator and Instructor at Utah State University. Design and utility are the primary elements I consider to determine the spirit of my pieces. I work in series and sets, which are guided by an aesthetic of clarity and restraint, imbuing my work with a sense of quiet sophistication and simplicity. Elegant linear refinement lends poised beauty to my functional tableware. When in use, there is a silent conversation that occurs with the user and the pots, enhancing their encounter.